So you rolled up a bunch of cones but wondering how might to safely transport to the party??? 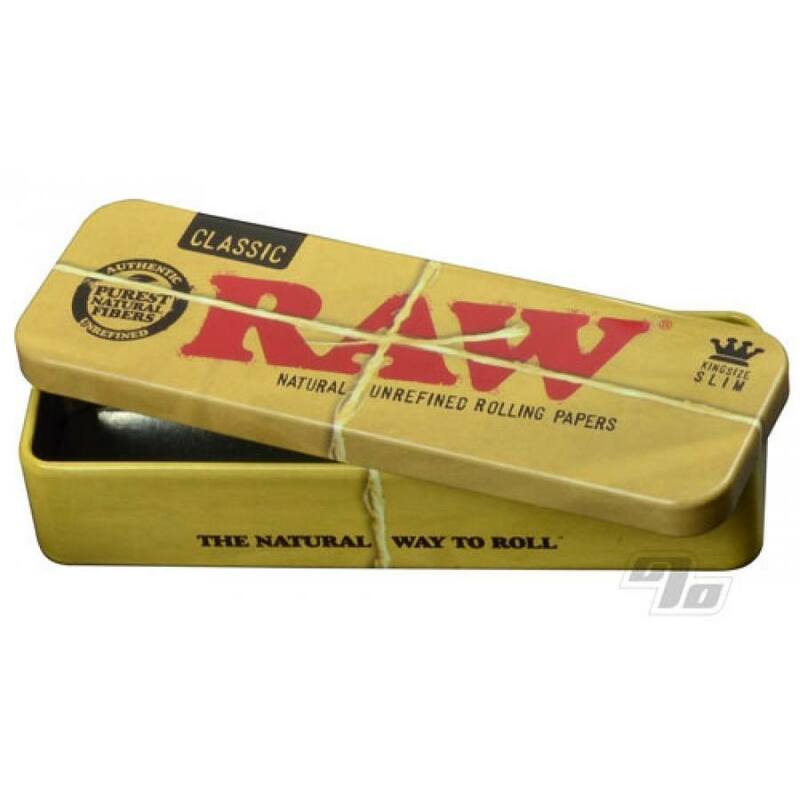 How about the new RAW Cone Caddy sized perfectly for your pre-rolled King Size smokes. Big enough to hold six rolled king size RAW cones. Brought to you by RAW Rolling Papers but works with any king size size rolling paper or cone. Pocket-able metal tin with securely fitting lid. LOVE,LOVE,LOVE everything I have EVER gotten from here!! I use the caddy EVERY DAY! They're perfect. I can keep king sized or smaller in here and it travels great, plus the price point is lovely. I plan to get a 1 1/4 too. I love these for a cute hideaway. I love the RAW tins. Perfect for your purse or bag. Seals and locks in ALL odors. I thought I wouldn't be able to carry this in my pocket but its the perfect size and it keeps my joints in tact.